The latest solo album from Verve singer Richard Ashcroft, United Nations of Sound, came out in the U.K last year, and reviews were not particularly kind in his home country. 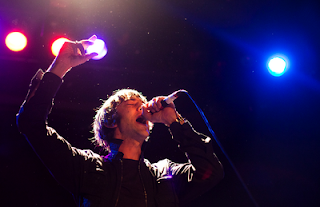 Last night at the Bowery Ballroom in NYC, making his first U.S. appearance in three years just a day after United was released in America, Ashcroft aimed to start fresh. "This is my favorite city in the world," he said, elaborating that he had made the album here, and "maybe you'll appreciate it." For United, Ashcroft recruited hip-hop producer No I.D., best known for Jay-Z singles like "D.O.A." and "Run This Town." At its best, it kind of sounds like Big Audio Dynamite, and mixes up Jigga-worthy beats, noisy guitars, and cinematic strings courtesy of Barry White arranger Benjamin Wright. 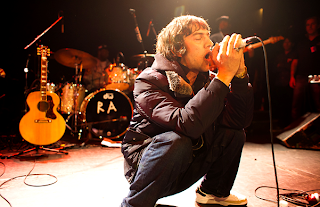 That hip-hop ethos came through in New York, as Ashcroft -- wearing a hip-hop-appropriate puffed out, multi-pocketed jacket and backed by a crack outfit dubbed the United Nation of Sound -- uncorked the thick, rattling rhythms of new songs like "Are You Ready" and "Born Again" with excitement. Sometimes too much so, actually, as there were many instances of him making awkward b-boy hand gestures (aggressively pointing to the crowd, pointing to his eye, and then pointing up wards) while performing. There were also some dodgy lyrics on the new songs to contend with, such as opening couplet of "Good Lovin'": "Good loving in the morning / Like butter through your fingers." Fortunately, Ashcroft's voice can make nearly anything soar, and some of the songs brought intriguing new dimensions to his classic sound. "America," which he dedicated to "Funkadelic and [spaghetti western composer] Sergio Leone," would work particularly well next time a music supervisor needs something to score a tense car chase. WRXP DJ and music nerd hero Matt Pinfield introduced the show, between plugs for his radio show and MTV's newly returning 120 Minutes. Pinfield told us that he had been talking to Ashcroft and that he had been preparing "a special setlist for us." As always, Pinfield told the truth. Three songs in to his set Ashcroft performed a woozy rendition of "Lucky Man," a highlight from The Verve's classic album Urban Hymns, and later performed the just as lovely Hymn highlight "Sonnet." He also ran through solo catalogue selections like "Why Not Nothing" and "Music Is Power." 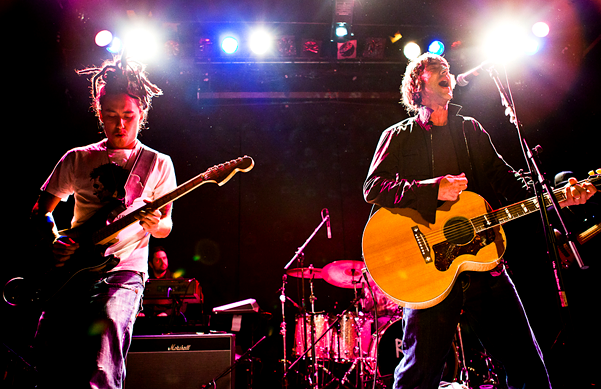 But Ashcroft kept the best deep cut for the end, dedicating a galaxy-sized rendition of chilly electro ballad "Lonely Soul," his collaboration from UNKLE's 1998 album Psyence Fiction, to "DJ Shadow, wherever he is." 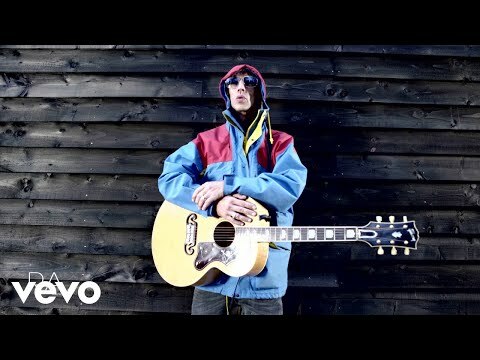 From one restless '90s survivor to another, and a fitting reminder that Ashcroft has always been up for anything.